Advertise here for an affordable price. 7:18 AM - It's the Year of the Pig! Check out my Fiverr page at www.fiverr.com/eastfist for affordable art starting at only $5! Get 10% OFF your next drawing*! Just mention this deal you saw at my official website eastfist.com when you place your next order at my Fiverr Page. 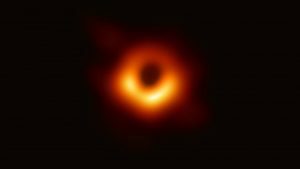 https://www.nytimes.com/2019/04/10/science/black-hole-picture.html It’s weird and a too simplistic. It looks like a solar eclipse. Maybe that’s how a black hole is supposed to look like, the inverse of the sun, the inverse of the giver of light. Copyright © 2009 - 2019 Chongchen Saelee.